Active Adult Living will help you find the best active adult retirement communities in all 50 States. Thousands of 55+ Plus & Active Retirement Communities are listed. Community reviews, videos, newsletter. Agoda Hotel deals of the day in top retirement destinations. Hotel reviews, best price guaranteed. Airbnb is new and unique. You can list, discover or book accommodations all over the world. Whether it's a boat, an island, a resort villa, an apartment or a room in your home, you can make extra money as a host, or find places to stay as a seeker. Any price point almost 30,000 cities, 192 countries. 24/7 support. Read how Debbie Campbell and her husband, Michael are traveling Europe renting Airbnb homes. Their blog is here and here. Aussie Housesitters is an organization dedicated exclusively for Australian & New Zealand house sitting jobs. House sitting can be either a short term stay of a week or anything up to a year or longer. ResortRentals offers affordable pricing for condo and villa rentals at extravagant resorts around the world. The site's easy to use search features makes it simple to find luxury accommodations at your desired location. If you want to enjoy all the benefits of resort life without the expensive price tag, this is the site to visit. BBH New Zealand The largest group of Backpacker Accommodation Providers in New Zealand. Services include a rating system, work opportunities and vehicle buy/sell notices. Links, job opportunities. Biz-Stay offers information on long term stay hotels in 3,000 locations around the globe. If you are looking for short term housing because you are relocating, accompanying a loved-one during a hospital stay or an extended vacation, this is a good place to start! Want to live on a boat? find out everything you ever wanted to know about the process of moving aboard a boat. Booking.com No booking fees, International Hotel reviews, best price guarantee. BYT Argentina for a list of accommodation in Buenos Aires in Argentina. Apart-hotels, furnished apartments, host families and hotels. The Caretaker Gazette is a unique newsletter containing property caretaking and house sitting jobs, advice, and information for property caretakers, housesitters, and landowners. Published since 1983, it's the only publication in the world dedicated to the property caretaking field. Benefits for subscription members. Coach Share CoachShare fractional ownership gives you the convenience, access and advantages of a Class A luxury coach for a fraction of the cost of owning your own. Our Five Star, all inclusive service includes insurance, storage, home delivery and pickup, maintenance, cleaning, and much more. Our professional coach management program assures our owners their coach will always be in top condition when they are ready to use it. CoachShare has made luxury coach ownership practical, cost effective and simple. Corporate Keys offers weekly and monthly furnished apartments for business or long term stays in Melbourne, Australia. Fully equipped kitchens, high speed internet, gymnasium and pool and more. Studio apartments available also. Couch Surfing helps you make connections worldwide. You can use the network to meet people and then go and surf other members' couches! When you surf a couch, you are a guest at someone's house. They will provide you with some sort of accommodation, a penthouse apartment or maybe a back yard to pitch your tent in. Stays can be as short as a cup of coffee, a night or two, or even a few months or more. When you offer your couch, you have complete control of who visits. The possibilities are endless and completely up to you. There are 56,891 Couch Surfers, representing 185 countries, in 11,068 cities. All places are rated, couch surfing etiquette is offered, and tips on safety for both sides of the deal. Craigslist is a solid source of finding apartments, housing, temporary housing, or rooms for rent if you are traveling. Simply click on your State, City or a Country you will be visiting and search! Lots of options. Desperate Sailors Find skilled workers, find crew or find a boat. Digsville Why not home exchange or home swap and save lots of money? Easy Roommate If you have a room in your house to rent, or want to rent a room in a household take a look at this site. You have choices spanning 29 countries and in 12 languages. Why pay more for housing when you don't need to? Escapees RV Club a total support network for RV'ers. Discussion forums, volunteer opportunities, FAQ's, events calendar and legal information. Find a Crew Like to sail? This is where boat owners and captains are looking for crew. Find paid jobs, gain more experience, or make new friends. FlipKey -- Owned by TripAdvisor - vacation rentals primarily in North America and Europe. Renters pay a 5% to 10% commission. Good Sam's Club is an RV club, a motor home club and a camping club. Forums, newsletters, events. Global Freeloaders is an online community, bringing people together to offer you free accommodation all over the world. Save money and make new friends whilst seeing the world from a local's perspective. Stay free in many places around the world for a day or two whilst organizing your thoughts. Free to join and free to participate. Members give you a free bed or room and in return you can agree to, or totally ignore, requests from other members for accommodation in your place. Good Night and God Bless Affordable Convent and Monastery Accommodation. Hobo Hideout is a the free encyclopedia of travel rooms with 6.5 million cities around the world. Home Away offers vacation home rentals all over the world. If you are staying in one location for any length of time, are with a small group or your family, renting a home away from home might be just what you are looking for and can be half the price of staying in a hotel. Home Exchange 50plus is a holiday exchange site designed for the senior traveler. Home Exchange is the holiday alternative for seniors and a great way to see the world at a significantly reduced cost. Home Exchange is the vacation alternative where two families agree to swap homes for a vacation. Live like a local, not like a tourist. More comfortable than a hotel, pick a country, find a listing, FAQ's. Kids, cars and pets. Worldwide. Membership required. For international home swappers drawn from 69 countries around the world. Save money on a different style of vacation. Membership required. Homesit New Zealand New Zealand's No. 1 Professional Housesitting Service. Homestead Hotels offers choices of budget studios for daily, weekly and monthly rentals. Every suite has a fully-equipped kitchen, housekeeping, unlimited local phone use and WiFi in every room. Want to be a House Sitter? A great way to travel the world and lower your housing costs is to house sit. Become a local, avoid high priced hotels, live in exotic and interesting locations. Learn more about house and pet sitting here on this page. If you want to know how to rent out a sleeping room in your house, take a look at this How To site. Get the facts, get the lingo. The Hospitality Club is supported by volunteers who believe in one idea: by bringing travelers in touch with people in the place they visit, and by giving "locals" a chance to meet people from other cultures we can increase intercultural understanding and strengthen the peace on our planet. You will meet friendly people and find free accommodation when you travel to any corner of the world. There are no obligations (you do not have to host anyone at your home! ), membership is free and we would love to have you in our world wide web of friendly people! Advantages: free accommodation worldwide, meet friendly people, no cost at all, intercultural understanding, no obligations, safety features, non-commercial. Members in 207 countries. Hostels.com Find hostels all over the world. Hostelz.com the world's largest hostels database. Compare prices from all the hostel booking websites at once. Real uncensored reviews you can trust. Complete information on all hostels worldwide. House Sit Mexico Want to explore the large country of Mexico? Live rent free, check out their listings. Housesitters America House sitting is living in a person's house for an agreed period of time while they are away. You maintain the house as if it were your own, doing any household jobs that need doing such as pet care or garden maintenance. Or become a professional and charge a fee. Own your home? List it for free. House Sitting World From the city . . . to the bush . . . Worldwide! 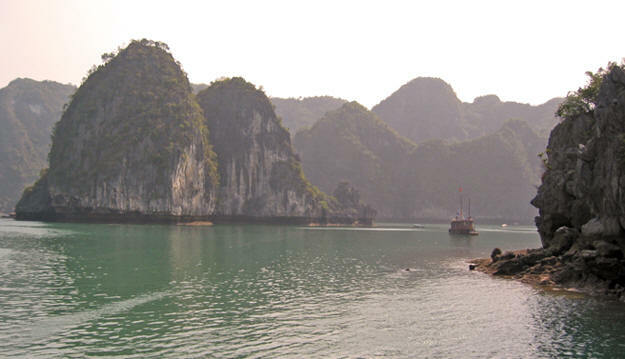 International travel options are huge with many places to visit, things to see and experience. List your home, find a home to sit. I Am a Happy, Homeless Pet and House Sitter by Francien Daniels-Webb. Who wouldn’t like to travel and have FREE accommodation? Latitude 38 Want to crew on a boat? Boat owners or Captains looking for crew? Here's the place. Love Home Swap Holiday like a local, swap your home with someone else. Mailbox - Need a Mailing Address in the U.S.? Try This! - The best prices in the industry, threee plans from which to choose. View your mail online from anywhere in the world or have them send you the physical mail to any address you choose. Mind A Home UK The House Sitting service matching owners with house sitters across the United Kingdom. Mind My House Need someone to look after your home or pets while you are away? Or if you are a house sitter, enjoy free accommodation while visiting exotic locations. Monastery stays Experience Italy with a monastery stay. OneFineStay The site offers "curated" properties in London, Paris, New York and Los Angeles, adding hotel-like touches such as premium linens, bath amenities and professional cleaning. Portugal - Johnny's Guide to Lisbon, Portugal for Digital Nomads. 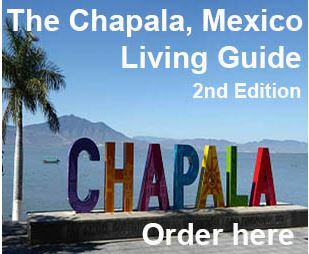 Extensive information plus how to obtain residency and visas and dealing with the Schengen Visa. Potomac Appalacian Trail Club Want to escape from urban living? Rent a cabin! 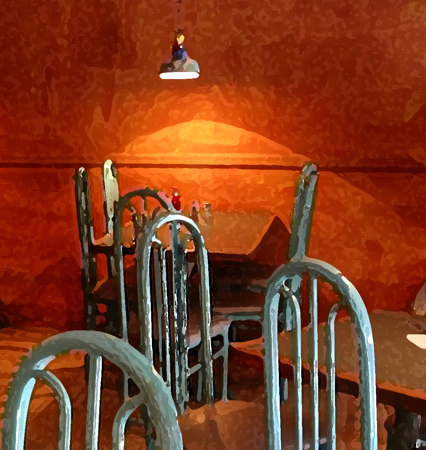 Rent Cafe makes renting easy. Featuring thousands of apartment listings directly from property managers, Rent Cafe will also help you secure your lease quickly and hassle-free. Reserve America Rent a cabin and enjoy nature! Retirement Dream or Nighmare? There's a powerful love affair with the idea of retiring overseas and buying real estate. Should you? Read this first! Retirement Housing Options Compared The cost of housing is typically the largest part of the monthly budget in any household. Knowing some housing choices can make this an exciting avenue to pursue in retirement. Why limit yourself to only one stationary housing selection? You have many options. Roomorama This Singapore-based company advertises 120,000 listings in 6,000 locales, many of them in Asia and Europe. RV Forum The friendliest place on the web for anyone with an RV... or an interest in RV'ing. Message boards, libraries, An illustrated explanation of the various RV types. checklists, guidelines, tips and techniques. RV Park Reviews for the USA, Canada and Mexico. Take advantage of over 51,000 user submitted reviews of campgrounds in North America. Why not participate in their forum to find out more? Share My RV Rental connects RV owners with potential renters who want to go on a vacation but not necessarily purchase an RV themselves. See how the rental program works. Find out if you can list your RV. Snowbird Condo This rental home website is designed specifically with snowbirds in mind. Featuring rental homes in the southern United States, South America and nearby islands, Snowbird Condo helps renters find several types of homes including condos, villas, townhomes and single-family homes. You can even sort by the number of bedrooms, number of bathrooms, or the property’s pet policy. Spare Room is the UK's busiest flat and houseshare website. If you are looking to rent out a room in your home or if you are looking for a room to rent, begin here. Sharing a house or a flat is usually cheaper than renting one by yourself. By sharing, it is often possible to live in a better property or in a better area than you would be able to otherwise. Thailand Real Estate and Property Forum Extensive. 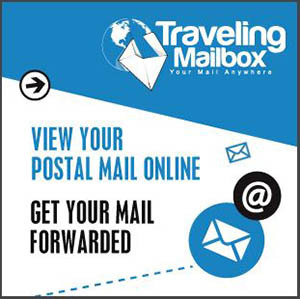 Traveling Mailbox With the best prices in the industry, Traveling Mailboxes gives you a Stateside address, will forward your mail to any location you choose, will scan your mail so you can view online and will shred your mail upon request. They will even deposit a check for you. Take a look at their site. Three plans available. TrustedHousesitters is a great way to travel the world and live like a local. Stay in a beautiful home, live in a neighborhood, take care of pets in exchange for your lodging. Check them out! University Rooms For accommodation in University Colleges and Student Residences. Short and long stays. Vacation Rentals by Owners Over 95,000 US and World wide vacation homes for rent by the owner. Offering more space than a hotel room, with your own kitchen facilities. Affordable, good value and with the local touch. Cabin rentals, beach rentals, Family Reunion, Group Travel, and international access. VIP New Zealand Get discounts throughout New Zealand and the VIP hostel network. Book your room easily and quickly online. What Makes "Home," Home Some people say they could never do what we do and joke that we are homeless. Wimdu Apartments, holiday rentals, B&Bs worldwide. Hotel reviews. Workampers are adventuresome individuals, couples and families who have chosen a wonderful lifestyle that combines any kind of part-time or full-time work with RV camping. 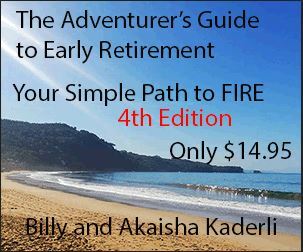 You can work to supplement your retirement income or to support a full-time, or near full-time, RV lifestyle. The #1 Source of Job Opportunities For RVers for 18 years. Woodalls RV site has been providing information about RVing and camping for 70 years. RV camping, tent camping, RV rentals, cabin rentals, activities, bookstore and more. Wotif For hotels, accommodations, serviced apartments, motels, and Bed and Breakfast places around the world. Book last-minute accommodation specials or great deals in advance. YHA Australia Australian backpacker and youth hostel accommodation and travel. Find a hostel, plan your itinerary, membership, travel information for independent travelers. YHA is part of the world's largest backpacker network, Hostelling International. With 4000 hostels in more than 65 countries.